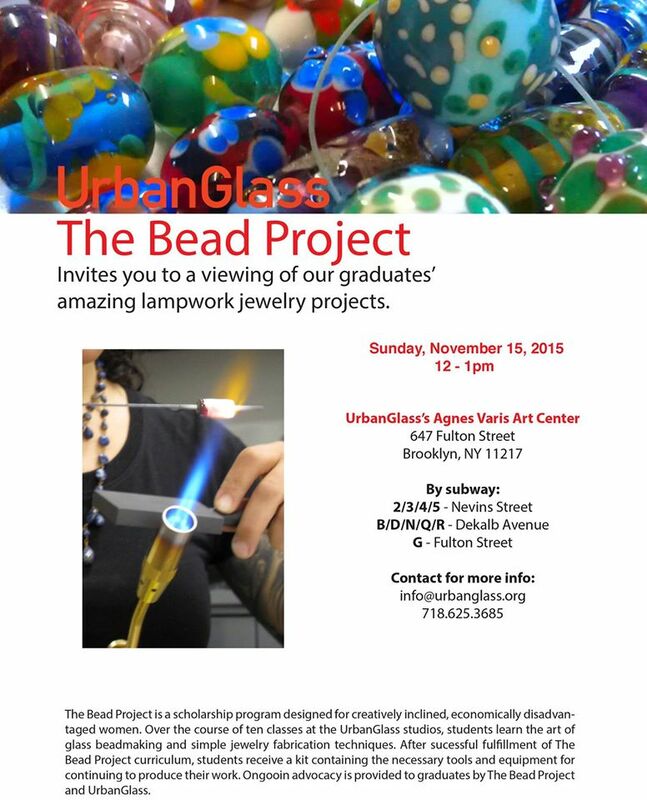 Thank you to everyone who came out on Sunday, November 15th, to UrbanGlass’ Agnes Varis Art Center in Brooklyn. Thanks to Amy Lemaire and Maria Aroche for being amazing mentors and teachers and to my Bead Project cohort of talented and beautiful ladies! It’s been a great journey!